Our Charism: To cooperate with the Mercy of God (Divine Mercy) in the work of rescuing lost souls. Our goal is to save lost souls, to rescue sinners from eternal loss. Our Lord sends us to people who are in danger of losing their salvation: to sinners, whom He wants to rescue through our assistance, through our cooperation with His redemptive mercy. Our goal - according to the Constitutions - is not to prevent demoralization, nor to care for the sick in body, but to rescue spiritually lost souls. for the good of the Church and others' salvation. To cooperate with the Mercy of God (Divine Mercy) in the work of rescuing lost souls. The source of vocation of each sister in our congregation is the truth of the infinite mercy of God, the incomprehensible love of God for man, "who so loved the world that he gave his only Son" (Jn 3:16) and the universal Salvific Will flowing from that love: the will to save all people, especially sinners in greatest danger of losing their salvation. By the light of the Holy Spirit the Foundresses interpreted in this love an ardent appeal to cooperate with redemptive Mercy, and they handed it on to the congregation as a specific charism (cf. Constitutions, Art. 2). Here we see the unique character of our charism, our role in the plans of Divine Mercy. The congregation was founded in order to participate directly in the mission of Christ, who came to save what was lost. 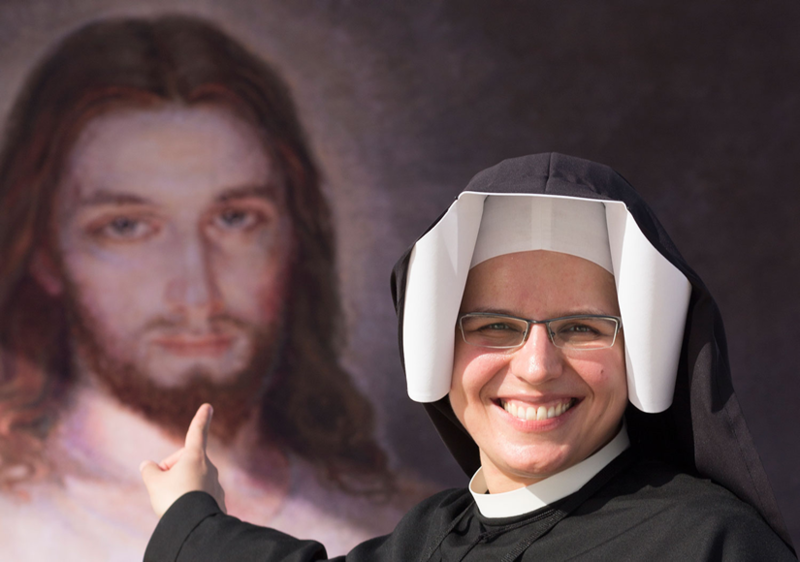 Moreover, through the mission that Jesus entrusted to Sister Faustina, the charism's scope was expanded - going beyond the confines of our "Mercy Houses" for girls and women - to reach all sinners in the world by imploring Divine Mercy for them and by proclaiming the infinite and unconditional mercy that God has for every single person. I desire to struggle, toil and empty myself for our work of saving immortal souls. It does not matter if these efforts should shorten my life; it is no longer mine, but belongs to the Community. I want to be useful to the Church by being faithful to my Community" (Diary 194).